The new collection will also contain the 100th Horrid Henry story and will be illustrated by Tony Ross, who has worked on the series from the start. The new book will publish on 21 March, containing four new stories: Horrid Henry: Up, Up and Away, Horrid Henry Changes History, Horrid Henry Steals the Show and Horrid Henry and the Zoom of Doom. 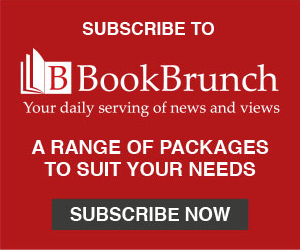 The deal for world rights was signed by Ruth Alltimes, senior group publisher, Hachette Children’s Group, and Rosemary Sandberg for Francesca Simon. Ruth Alltimes said: "Horrid Henry is a publishing phenomenon – a whole generation has grown up revelling in his wickedly funny antics, so we are delighted to have a new set of stories from Henry’s genius creator, Francesca, just in time for this all-important birthday. Tony has done a fabulous job too, of bringing Henry to life once more. We look forward to seeing Henry soar in 2019." 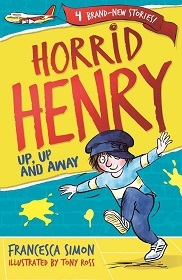 Simon said: "It was a great joy for me to drop back into Horrid Henry’s world, and rediscover all the reasons I’ve always loved writing about him. Twenty-five books, twenty-five years, and 100 stories seemed the perfect way to round off Henry’s gleeful, devil-may-care adventures." The deal comes alongside a re-design of all the core storybooks in the Horrid Henry backlist, which will be re-released throughout 2019, with a new logo and jacket design, plus new cover artwork from Ross. Since it was first released in 1994, Horrid Henry has gone on to become an international best-seller, with translations into 31 languages and over 21 million copies sold. The anniversary will be marked with an extensive marketing and publicity campaign, including high-profile experiential activity during the Easter holidays, partnerships, digital advertising, influencer outreach, library activity and point of sale materials.